I always said wine was disgusting. I always said I would rather drink muddy water. Oddly though I hit 30 in February and suddenly I actually liked the stuff. I mean I used to drink it at events but I never actually enjoyed it. I did the same with Coffee, I suddenly at aged 29, started drinking coffee and appreciating the art of coffee making. My life in the past few years has become a weird taste bud learning curve and I love it. Right so, there is a thing in grapes called tannins which are naturally occurring and is in other fruits and plants like tea. Tannins end up in your wine when the person brewing the wine (is that the right wording?) allows the skins to sit in the grape juice as it ferments. This is how wines get their colour. Wines that have little or no skin contact end up pink or white, with less tannins. Wines that ferment with the skins for a longer period end up red, with high tannin content which makes the bitterness of the red wine. As you’d imagine, red grape skins have more tannins than white grape skins but you can get white wine from red grapes if you take the skins out immediately... who knew? White Wine has tannin, but not enough to make it the star of the show. Instead, white wines are based on Acidity. That’s why you might say a wine is “crisp” or “tart.”. Red wine is based on Tannin which is why you might describe a red wine as “firm” or just plain “bitter.” Tannin also gives red wine texture, making it feel “smooth”. In general, the darker the wine, the higher the tannin and the bolder the taste. Rosé is pink in colour. It gets that way because it is allowed to stay in contact with the red grape skins for relatively short time compared to red wine. On the spectrum between red and white, rosé is much sweeter than Red but can have some acidity like white. Sparkling wine is wine that has carbonation, which can occur as a natural part of the fermentation process or artificially after fermentation. 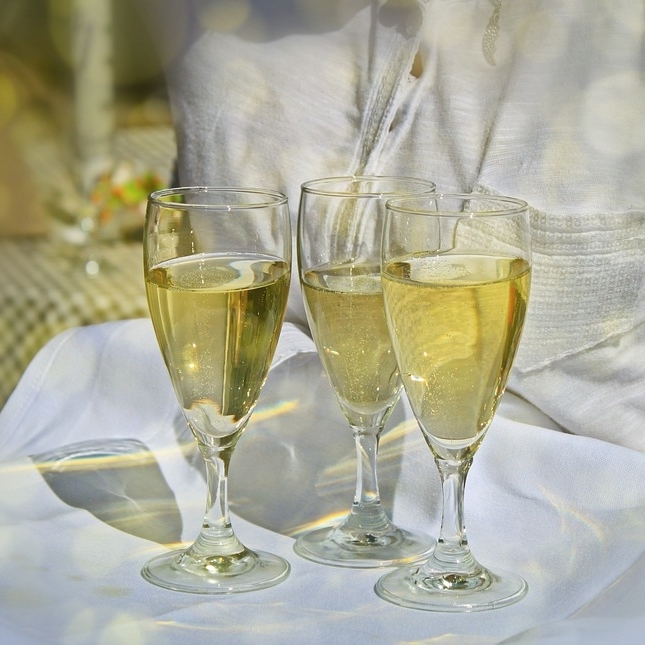 Sparkling wine is made from a wide range of red and white grapes.